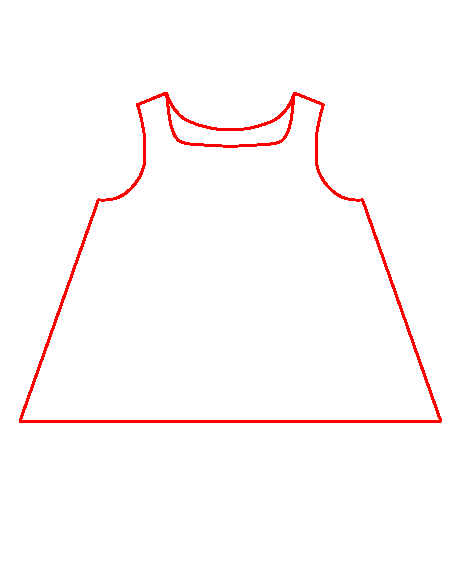 Again, I cut the pattern out from a sheet (this is probably the fourth or fifth one I cut from the same sheet. And I still have some left over. It cost $1.00.). 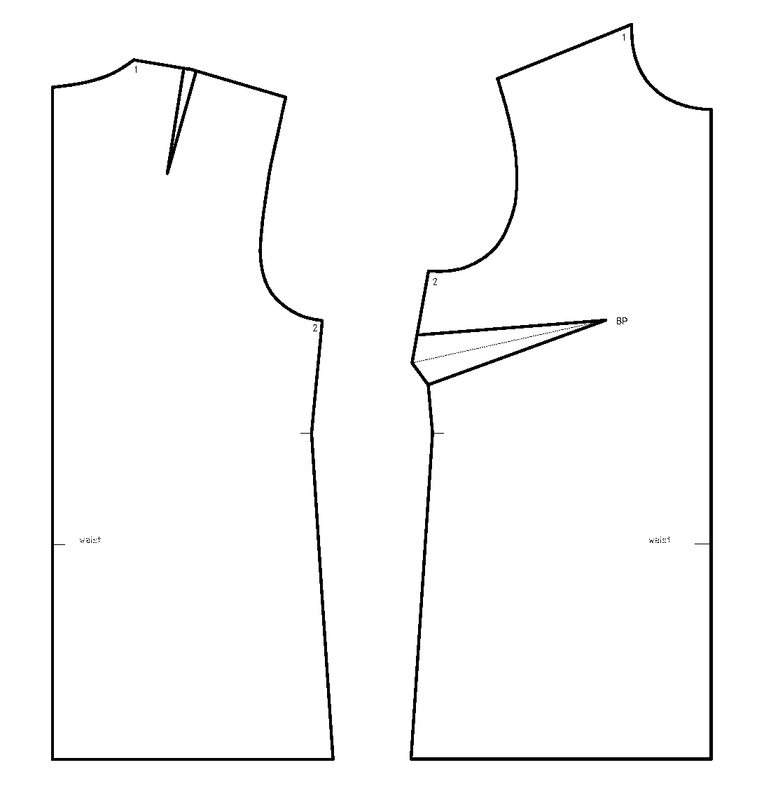 Remember to add seam allowances if you create patterns with this method, because bodice patterns do NOT include seam allowances. In this case I used 1/2 in seam allowances on side and shoulder seams only. No seam allowances on neck and arm because I wanted to see what then would fit like when finished. Very nice, no? 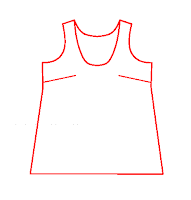 I was a bit skeptical about the neckline - when I blended the curve it looked a bit "wonky". But it looks very good with gathers. I cannot see any problems with this - fits nicely in the front, in the bust section, and in the back. It is not too wide or too narrow. The only thing I will change is too widen the neck by 1 cm back and front (I tried it, and it was a little snug going over my head).